New Delhi: In a unique exhibition here, around 20 brain samples of people who died after having some neurological disorder will be on display. All these samples have been brought from NIMHANS’ Brain Museum in Bengaluru which houses diverse collection of over 600 brain samples. The workshop is being organised by the Union Health Ministry in collaboration with the WHO to mark the World Health Day for which the theme is “Depression: let’s talk”. These are the brains of patients who have died of neurological diseases like tumour, stroke, infection, head injuries, Alzheimer’s, schizophrenia and Parkinson’s disease, said a senior doctor from NIMHANS. “The brains will be on display inside sealed transparent jars to demonstrate the changes in them due to neurological and psychiatric diseases, while one sample will be open for people to touch and feel the texture and weight of a human brain,” the doctor said. The aim of the workshop, a senior health ministry official said, is to spread awareness among the stakeholders about various neurological disorders including depression and to promote brain donations for studies and research. Apart from brain samples, two lungs specimens– one cancer affected and the other by smoking– along with a liver affected by cirrhosis will also be on display at Hotel Shangri La to spread awareness about noncommunicable diseases (NCDs) like diabetes, cardiovascular diseases and cancer among others. The theme “Depression: let’s talk” implies that people and policy makers should not hesitate to talk about depression and or make it secretive, said Dr Santosh Chaturvedi, Dean and professor of Psychiatry at NIMHANS. One cannot diagnose depression by looking at a brain sample or even by MRI or CT scan as brain changes in depression happen at neuronal and neuro-chemical levels, he said, adding these micro disturbances cannot be seen by looking at the brain. The brain of a person suffering from depression appears to be normal. “Under this year’s World Health Day theme, we are talking about depression as a disorder and not as a change in mood. “People sometimes feel low and depressed because of financial loss, bad relationships or some failure. Those are not depressive disorders unless the depression lasts for many weeks and does not allow the person to function in normal self,” Dr Chaturvedi said. The main depressive disorder, he said, is usually the one in which the cause cannot be found and is called Endogenous depression which comes from inside. In this kind of depression one requires professional help and also medication. According to recent findings of a National Mental Health Survey conducted by the National Institute of Mental Health and Neurosciences (NIMHANS), at least 13.7 per cent of India’s population has various mental disorders out of which 3 per cent has depression. 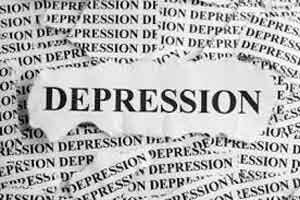 An AIIMS study funded by WHO said depression can affect the productivity of a person much more severely than physical disability. As per WHO, one out of five persons has suffered from depression at some point in their lives.